One of the biggest concerns at all levels of football from Professional to Pop Warner is neck injuries. The bigger and stronger your neck muscles are, the more protection you're going to have against an injury. Here's what I recommend to build and strengthen muscles of the neck. Along with proper football skill training in tackling (see www.butkushighschoolhits.com), strengthening the neck muscles is probably the most important areas a football player can develop. A strong neck can go a long way to prevent and protect against football neck injuries. Luckily it's one of the easiest areas to get great results in a short amount of time. There are 7 areas of neck development: Front, Back, Left side, Right side, Rotational to the left, rotational to the right, and neck/upper back (Shrugging). 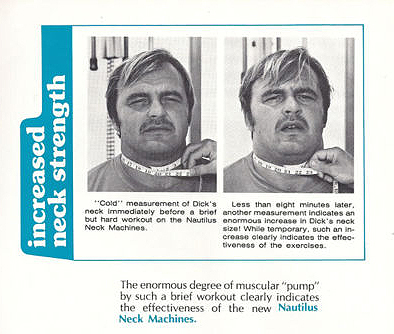 Neck exercises are to be done slow and controlled. Try to progress in weight/reps every time you workout. Feel free to email with any questions you may on how to get the best results in building muscle at Blake@FitLike51.com and follow me on twitter at @FitLike51.